ASUS has announced a new display aimed at those looking for an affordable monitor for gaming and high-quality multimedia enjoyment. What differentiates the new ASUS VA249HE from most of the other budget monitors within the same price range is that it features a high-contrast VA panel instead of the more frequently used IPS or TN panel technology. Continue reading to find out how this can affect your viewing experience. 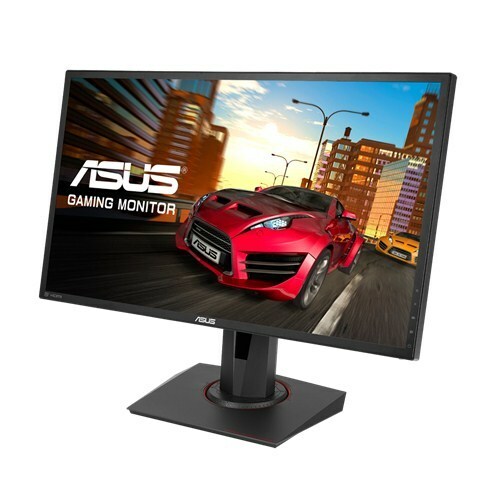 The ASUS VA249HE monitor is based on a VA (Vertical Alignment) panel with true 8-bit color support, wide 178-degree viewing angles, Full HD 1920×1080 screen resolution, and exceptional contrast ratio. In comparison to the other panel technologies, the VA offers a considerably higher static contrast ratio of 3,000:1 as opposed to the standard 1,000:1. This provides you with deeper black colors and a superior relation between the darkest and brightest tones making for a more immersive viewing experience in both video games and movies. For color-critical work, an IPS panel monitor is still a better choice as it delivers more accurate and consistent colors, but lacks depth when it comes to blacks. The 178-degree viewing angles allow everyone in the room to enjoy the picture without shifts in color and only slight shifts in contrast when the ASUS VA249HE screen is viewed from certain off-angles. 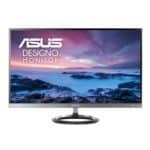 Although certain monitors nowadays support up to 8K screen resolution, the ASUS VA249HE offers 1080p which is still considered as the standard. Moreover, due to the humble 24-inch monitor size, the resolution will provide you with a decent pixel density with crisp and vibrant image quality. One of the major drawbacks of the VA panel monitors is motion blur and ghosting of the fast moving objects. Although the 5ms gray to gray response time speed is decent, you will most likely be able to notice prominent ghosting, more so when dark pixels are involved. So, if you mainly play fast-paced competitive FPS games, you should consider a TN-panel display with 1ms response time, or save up for a 144Hz gaming monitor. The TraceFree technology of the monitor can reduce the perceived motion blur, but can also cause overshoot or inverse ghosting which doesn’t really help much. In case you prefer more graphically-oriented games, the ASUS VA249HE VA panel monitor will enrich your gaming experience with stunning and vivid colors. Lastly, the ASUS VA249HE offers the exclusive GamePlus features with customizable crosshair overlays and an on-screen timer. 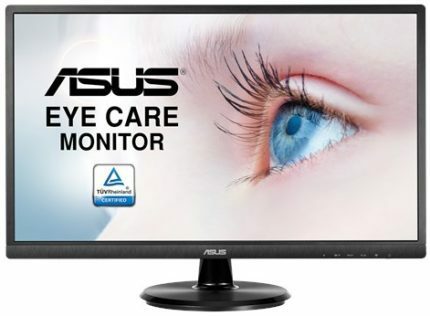 The ASUS VA249HE 24-inch monitor is marketed as ‘Eye Care’ display meaning that it’s flicker-free and won’t cause headaches to those sensitive to screen flickering. 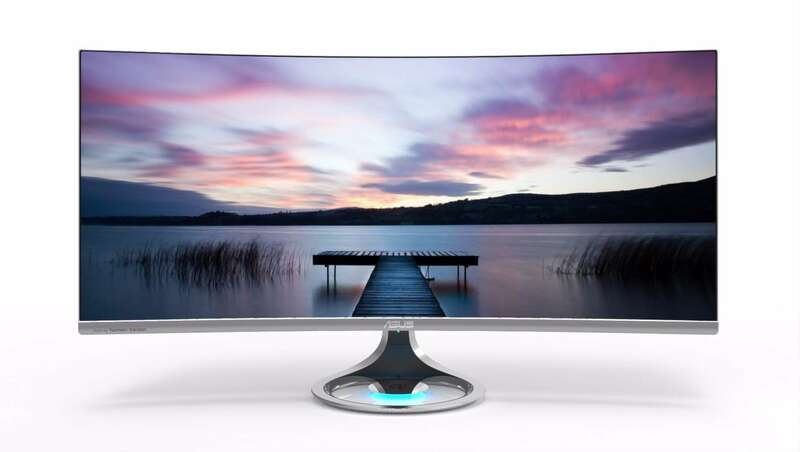 Furthermore, the monitor has a low blue light filter which further ensures comfortable viewing experience. There are four levels of the low blue light filter (Web Browsing, Photo/Video Viewing, Reading, and Darkroom) which you can quickly toggle via the monitor’s hotkey and adjust it according to what you’re watching. Additionally, the SplendidPlus Video Intelligence Technology consists of pre-calibrated picture presets including Scenery, Game, Theatre, Standard, sRGB, Night View, Reading, and Darkroom. 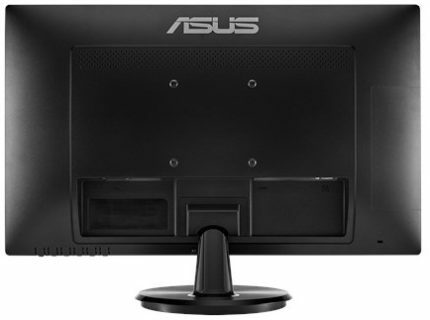 The design of the ASUS VA249HE consists of black matte plastic chassis and even though the bezels aren’t as thin as they’re on certain modern monitors, the picture is edge-to-edge meaning there’s no black border around the image. The monitor is VESA mount compatible with 100mm x 100mm pattern while the ergonomics only include the tilt adjustment. There’s one VGA port and one HDMI. The screen is coated with a light matte surface which prevents sunlight reflection and preserves image quality. The ASUS VA249HE release date and price are unknown at the moment (December 2017) though we will update the article once we find out. Given the ASUS VA249HE specs, we expect the price to be around $150 which could rival the popular Acer R240HY Full HD monitor with an IPS panel. ASUS also plans to release the ASUS VA249NA which is essentially the same monitor but with a DVI-D port instead of the HDMI. If you’re looking for a budget gaming monitor and use an AMD graphics card, we suggest you have a look at our list of FreeSync monitors. The ASUS VA249HE PC display definitely looks like an interesting monitor that we’d like to have a closer look at and do a more thorough review. After numerous TN and IPS panel budget monitors, it’s nice to see a new 24-inch 1080p display on the market with a VA panel.